Hey thats Awesome! Check this out! Took this pic at a show in ALburquerque on Sunday. 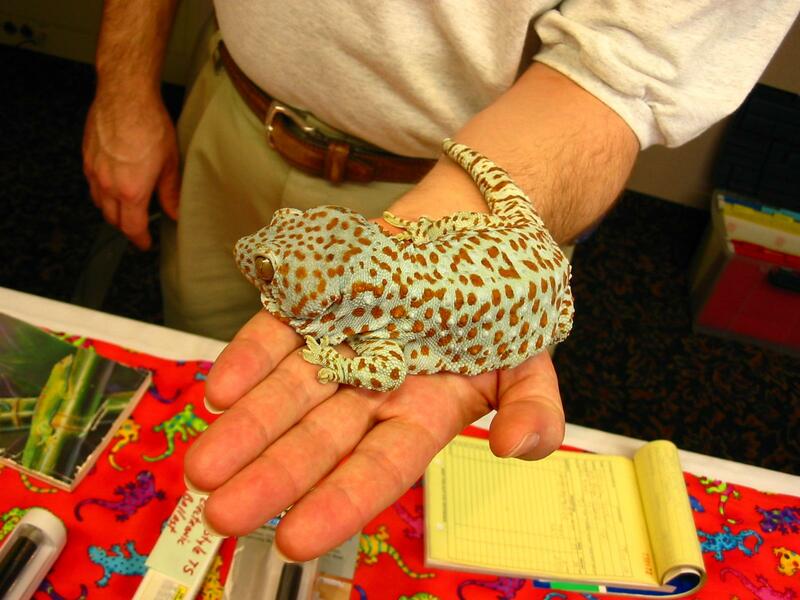 This guy deals in Tokays and lots of Day Geckos. And his baby is pictured here. This guy is not only a Giant but he is tame as he can be. Simply awesome check him out!